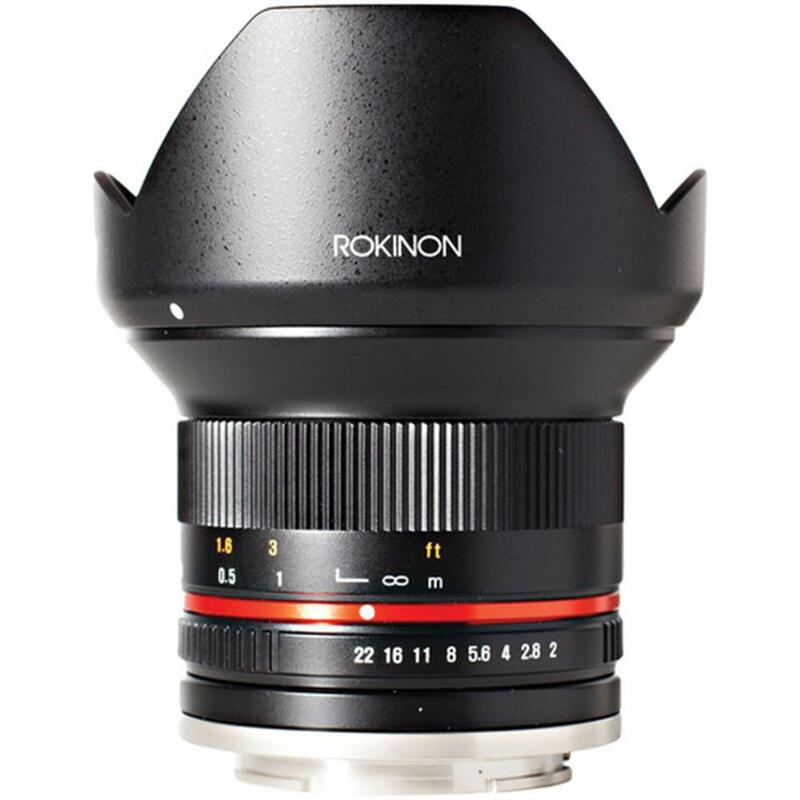 The Rokinon 12mm f/2.0 NCS CS Lens is a prime wide-angle lens designed specifically for use with APS-C sized image sensors. 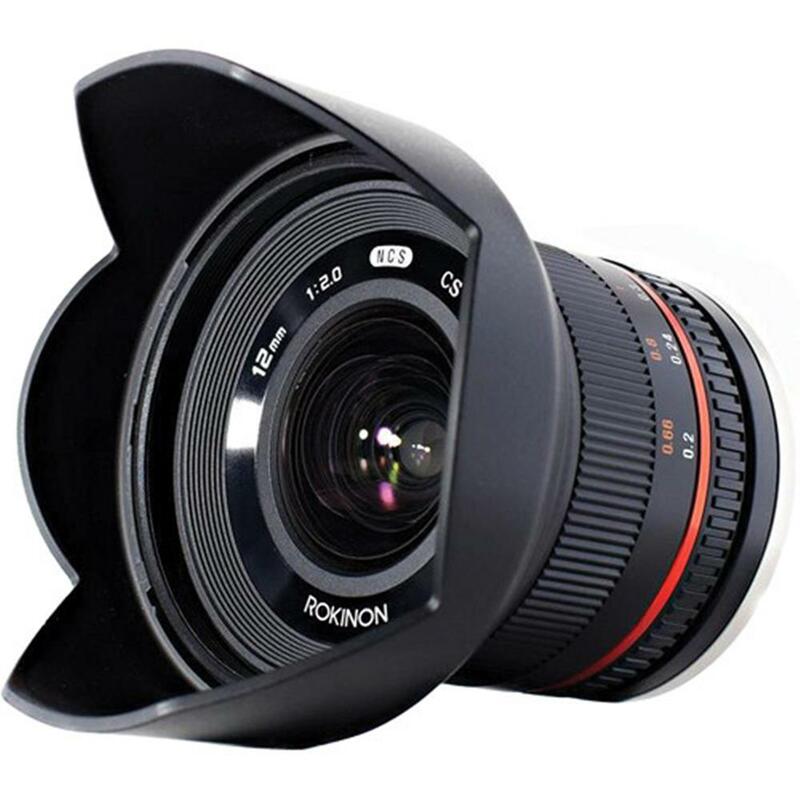 Providing a 35mm-equivalent focal length of 18mm and a broad 98.9 degree angle of view, this lens is well-suited for architectural, interior, and landscape images. 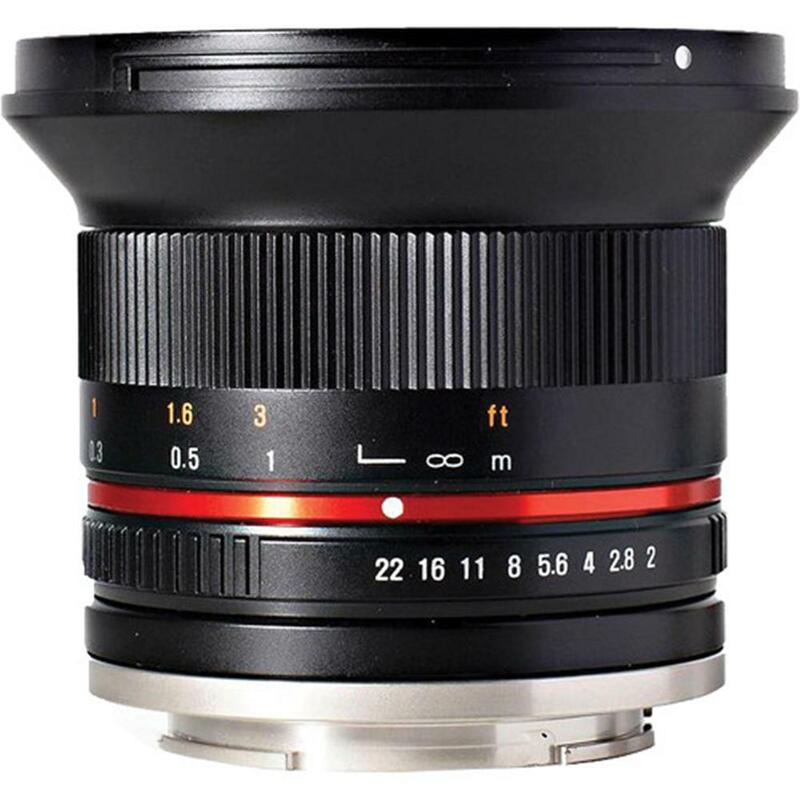 Its fast f/2.0 maximum aperture is further beneficial to working in low-light conditions.